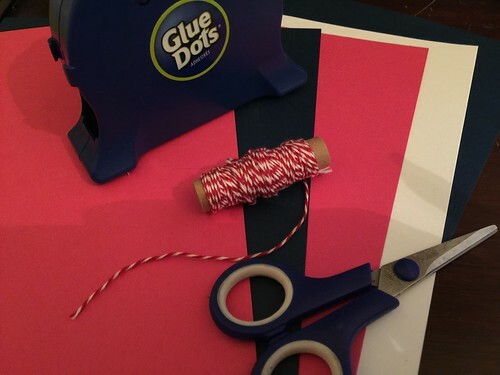 Decorating for the 4th of July doesn’t have to cost a bundle. 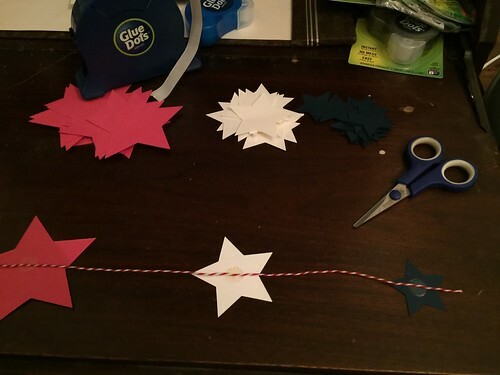 All you need is paper stars and you can make a quick and easy 4th of July Paper Star-Banner. If you have a personal cutting machine, the production is even quicker. 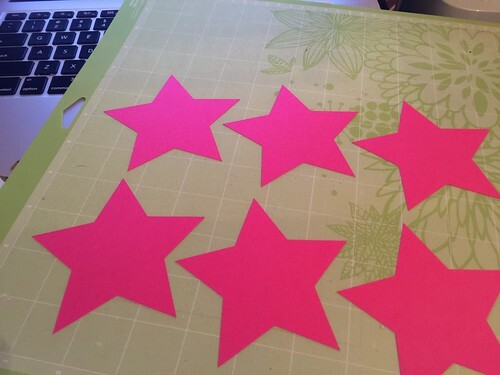 If not, use the printable template to cut the different size stars. 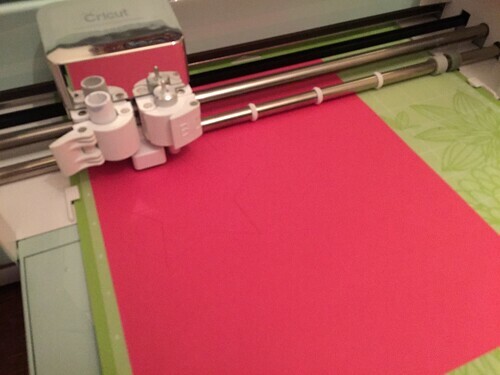 A special thanks to Glue Dots for providing the adhesive and to Cricut for providing a Cricut Explore Air 2 machine. Cut the stars in the various sizes and colors. The SVG files linked above are already set up for your personal cutting machine. If you are cutting by hand, download and print out the PDF template. Using one star from each color decide upon placement and distance between the stars. Place a @Craft Glue Dot on each star near the middle. The largest star may need two. Cut your twine and line it up on the stars pushing the twine into the @Craft Glue Dot. Add a second star to each of the stars to hide the twine in-between them. Make as many strands as you desire. Hang the strands from a mantle, a piece of furniture, or a window.